Today is day 9 of the 14 day course and so far I’ve done 11 solo flights, some of them lasting more than 20 minutes. 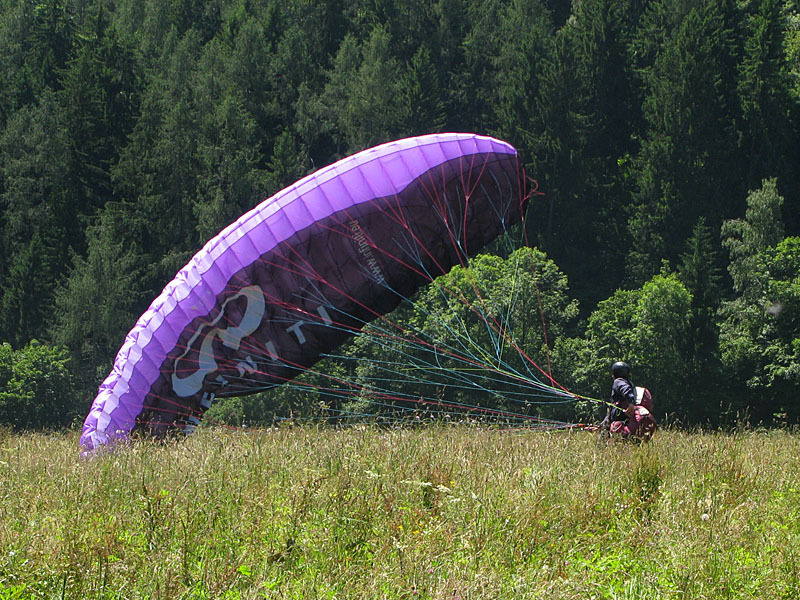 I can now launch the paraglider fairly reliably and land using a left hand approach. Sometimes I need a bit of instruction over the radio to ensure the final approach is at the right speed and height, but each one is better than the last. 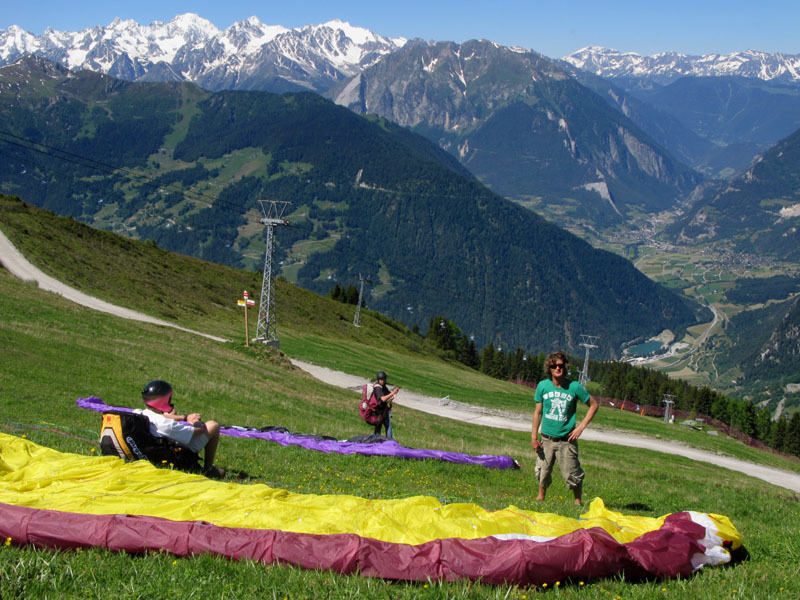 Before landing a paraglider it’s advisable to stand up in the harness and get ready to run, but initially I had a tendency to start kicking my legs considerably before landing, especially if the ground seemed to be approaching too quickly. People seemed to find this pretty hilarious, but fortunately I managed to stop doing it before anybody got a video. Today, others stole the landing lime light though. 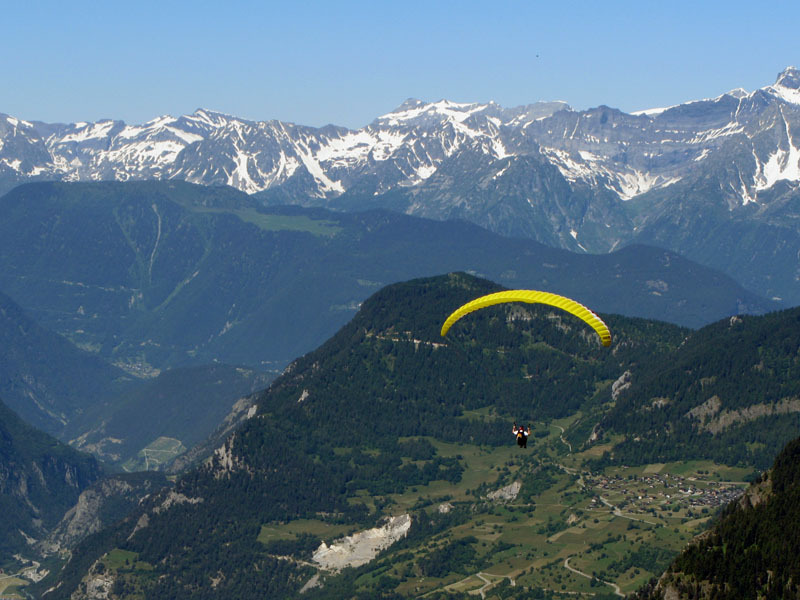 One person landed on a parasol that the rest of us were sitting under moments before, and another landed so short that our instructor had to jump on his motorbike and speed down the valley to get a new vantage point to guide him in from! Most of us land in the field most of the time though! 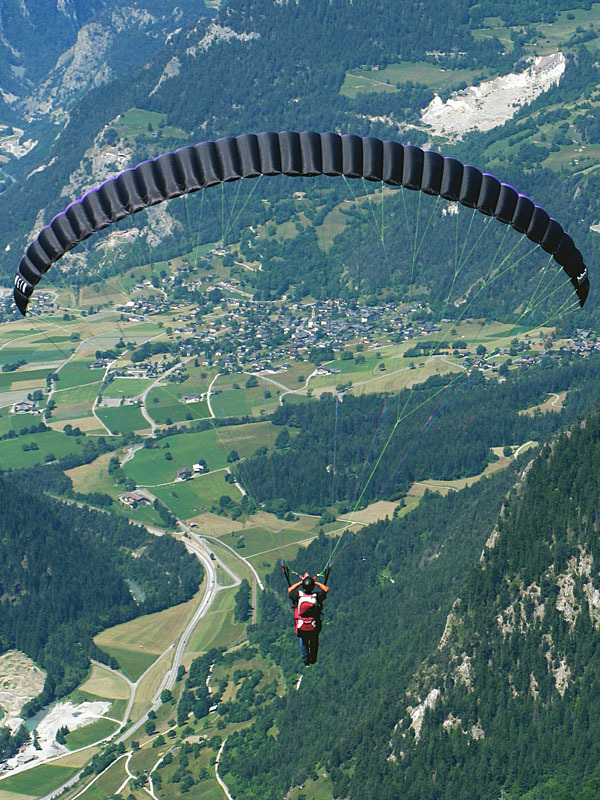 From now on I will be learning to gain height by using thermals and to soar using winds blowing over ridges. These techniques need more specific weather conditions than simply gliding down from a mountain top, and I’ve had to sit out quite a few flights because the thermals or wind have been too strong for a novice pilot. It’s a little frustrating, but hopefully I’ll be going up rather than down for the first time quite soon. 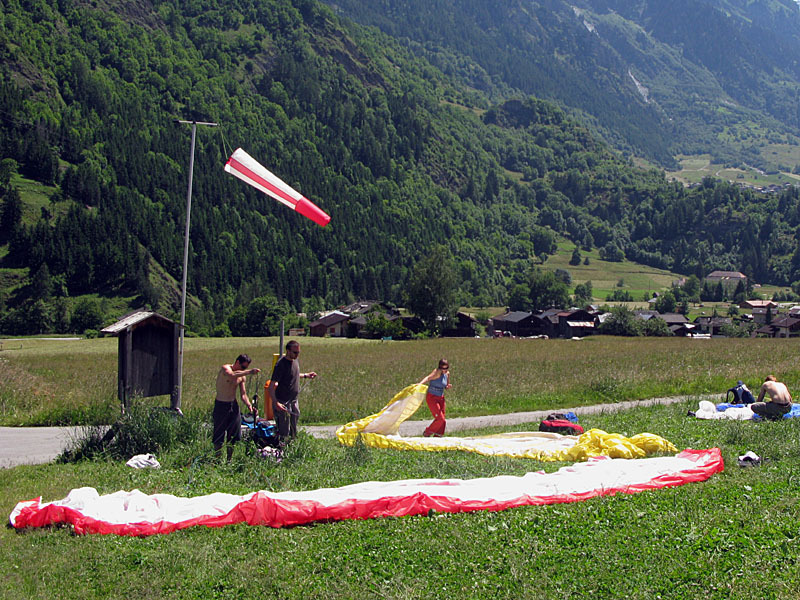 Above are some pictures of a typical flight; The first shows people setting up their gliders on the mountain top ready for launching; The second and third pictures are taken from the launch site and show people who have been in the air for only a few seconds; and the last two pictures show the landing field. I haven’t taken any aerial photos so far as I’ve had to concentrate on maneuvering too much, but I’m getting more confident so I might take my camera up at the end of the course.